1. As some of you may know I love oatmeal. Especially steel cut oats. I have it once a week and I'd have it more if I had the time. My hubby is in charge of breakfast on Sunday so he makes it while I'm getting ready for the day. We've been trying to transition the kids to the steel cut oats instead of the rolled oats only to be met with a lot of complaints and whining. However, I recently read somewhere (I read too much and can't remember) that one mom puts a dab of ice cream in her kids' bowls (without adding any other sweetener to it). We decided to do that. Guess what? It worked! The ice cream makes it creamy and sweet and the kids like mixing it in and watching it melt. I wish I could remember where I read it so I could give proper credit. Great idea. Now my hubby doesn't have to make two separate pots of oatmeal. Oh, and it's not just for the kids. Ahem. 2. Do you have someone in your family with food allergies? Perhaps they need something gluten, nut or dairy free? Maybe you're looking something specific for that someone? Or perhaps you know someone who is a vegan and want to give them something special? I discovered the site www.happybellybags.com. They have plenty of items and everything is categorized for easy shopping. 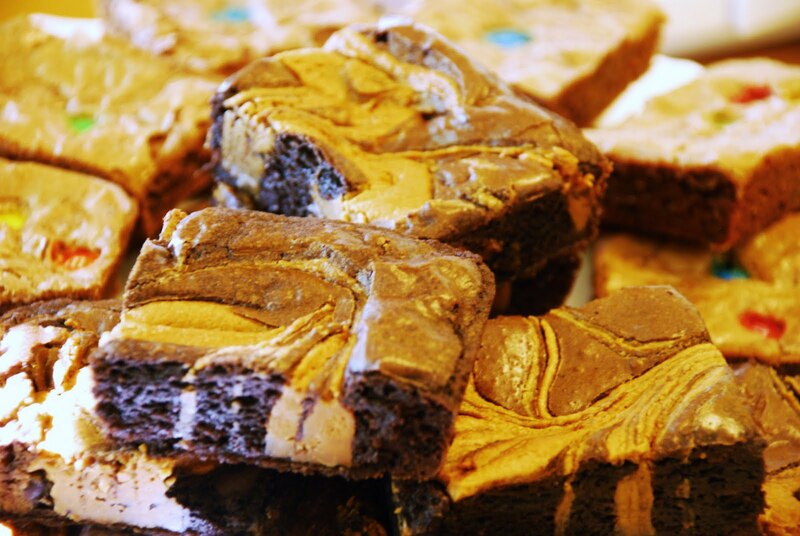 Caramel Peanut Butter Dark Chocolate Brownies. You can see the M&M brownies in the back. 5. While shopping at Bristol Farms they were giving out samples of a protein bar called Power Crunch Bar. I loved it! It's like a Kit Kat Bar except it's low in sugar and high in protein. I'm not a fan of protein bars because every one I've tried is heavy and chewy and not that tasty. I used to keep a couple handy for the times I'm on the go all day. Then I would take one bite and be so disgusted I'd tuck the rest away thinking I'd have it later only to toss it out. These Power Crunch Bars are the opposite! They were on sale so my husband bought be a few. My favorite is the Peanut Butter Chocolate one. 6. How do you get 20 boxes of toothpaste and 42 toothbrushes for almost free? You get a hold of coupons $1.00 off each product and wait for them to go on sale for $1.00 each. They were both originally 4.00 each and without the sale or coupon it would have cost us $248.00. It only cost us $13.00, the price of the coupons my husband spotted after seeing the sale. We're stocked up now! 7. Last weekend we made Cinnamon Baked French Toast. I read that we could add fruit to this dish before baking as well so we decided to top it with fresh sliced bananas. Oh, goodness me. It was absolutely delightful. I don't have a picture. I ran 8 miles and the dish was done just in time for me to cool off and dig in. I refused to stop and take a picture. Yeah, it was THAT good. 8. I had to go to the ER. I know, not great news but I got a break from housework and kids! Back January I hurt my left side while working out. I was doing shoulder presses and all of a sudden a muscle cramp hit my left abdomen like I got the crane kick from the Karate Kid himself. I dropped the dumbbells and fell to the floor. It hurt. It hurt bad and then I felt a weird bubble sensation under the hand that was pressing on the painful spot. I went to the doctor but they couldn't find anything. I even had an ultrasound done. The pain eventually went away but then four weeks ago the same thing happened again. This time it took longer for me to recover and then there was blood where there shouldn't be blood. I had a CT scan that didn't show any indication of what it could be so I was released and referred to a specialist. While I thank God the CT scan came out clear, I'm still anxious and losing sleep. So, if you're inclined please pray for me. Please pray for complete healing, that I get the rest I need and that I'm lead to the right specialist. Thank you. 9. My daughter has mastered seat drops in gymnastics. She's the only one in her class that can. I'm so proud very of her. She's also the only one in her class that sits still and follows directions. No joke. And it's only a class of 5 kids! Anyhoo, if you don't know what seat drops are it's where you're on a trampoline and while keeping your hands at your side you jump up and down a couple of times then drop onto your bottom and immediately bounce back up onto your feet. I don't have video of it yet. It was unexpected and I was excited and just kept asking her to do it. Then her coach came and asked her to do it. After that it was time to move on. It was pretty awesome. 10. I went to the doctor to follow up on my ER trip. I am not allowed to work out until they figure out what's wrong. No running and no strength training. Nothing that will engage my abs. It has me completely BUMMED OUT. Exercise is, shall we say, my anti-depressant, my stress reliever. I have a hard time sitting still. I crave the heart-pounding, push 'til your body is sore kind of workouts and I'm only allowed to walk. I can't even do Barre work because it engages the abs. I'm praying for healing. I miss running and it's only been 3 days. 11. One more thing about my daughter....she can walk backwards on the balance beam now! No video of that either because it came on quickly and as a surprise. I think she really likes her new coach and wants to show off for her. I really need to have my phone ready at all times but it's hard when I'm also trying to keep my baby girl safe. She's gets wild on the trampolines! 12. 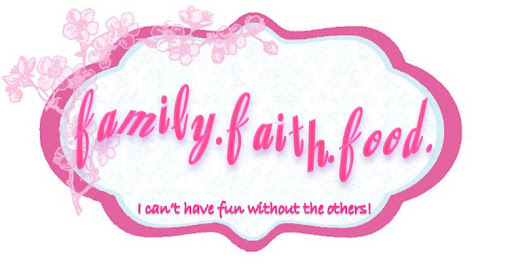 Have you read my sister's blog lately? She has some great new mouthwatering cupcakes. Check her out: Cupcake Brat. 13. One night, after learning I'm not allowed to work out, I decided to have some ice cream a piece of chocolate. My daughter saw this and said, "Mommy, that's too much sugar." Oh, mommy is busted! Have a wonderful week and please pray for me. Many thanks!